The place Yalameh lies slightly north of Isfahan in central Iran. 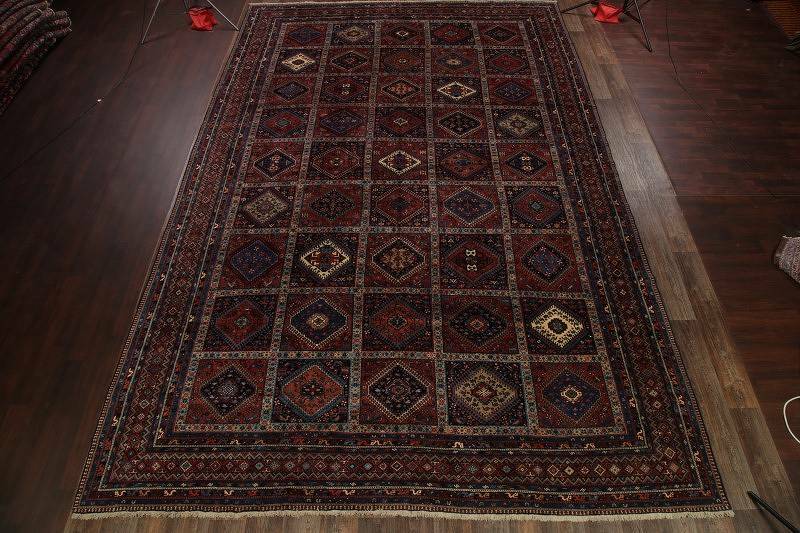 Yalameh rugs are popularly known for its high quality, diamond geometric designs tribal rugs. The pile used in this rug is very fine as compae to other tribal rugs which are using soft and cotton based wool. Yalameh rugs usually have curvilinear patterns. This is among the highest quality Persian rugs made in Eastern Iran. Such rug comes in different shapes and sizes but the majority of them are of mid size. But you can also find some of the large rugs with 10X18 feet. You can find them in various colours including red, ivory contrasting colour, soft green or even in brown also. The rugs are weaving with soft woolen, tight and thin pile. These rugs are perfect compliment for the modern or minimalist furniture and giving your living space a warm and luxurious style.